While R&R Sales specializes in selling cars, we are also a major buyer. You can pick up some ready cash by selling us your car. You don't have to commit to buying from us. You can just utilize our car buying service. 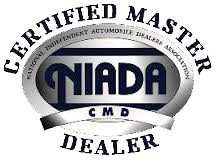 We want to be your full service used car dealer Chico CA. The first step is easy, and there are two choices. If you want to get started this minute, just drive to one of our two locations. A qualified appraisal staff member will look over your car. If you have repair and maintenance records, you may want to bring them. In about thirty minutes, we will hand you a written appraisal for your car. This will give you a clear picture of what it is worth. This is based on many factors, including age, condition, make/model, and projected durability. It also takes into account market forces that increase the value of certain cars. You can decide whether or not to take the offer. The appraisal is valid for seven days. We understand that you may need to take your time. If you decide to accept it, we will write you a check within 24 hours. This will speed you on your way to the bank where you can get the extra cash you need. You can use your money for anything. If you decide to apply the appraisal amount to a purchase at R&R Sales, we will work hard to find you financing. Selling your car may give you the down payment you need for a favorable loan. Since we specialize in bad credit, you don't have to worry about being turned down. We work hard to be your used car dealer Chico CA. Let R&R Sales buy your car!